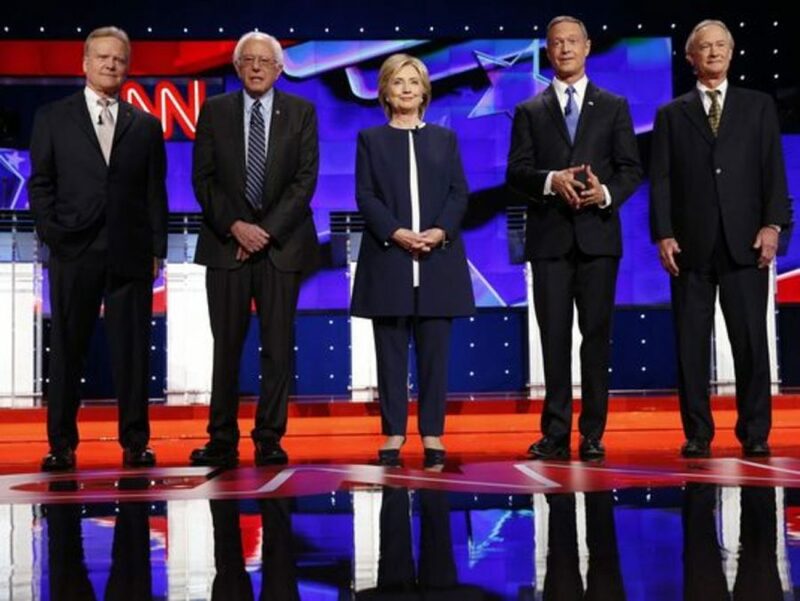 The first Democratic Party presidential primary debate was held on October 13th. Five candidates were invited to participate – Lincoln Chafee, former governor of Rhode Island, Martin O’Malley, former mayor of Baltimore and governor of Maryland, Hillary Clinton, former New York senator and Secretary of State, Bernie Sanders, Vermont Senator, and Jim Webb, a former Senator from Virginia and Secretary of the Navy. Clinton and Sanders had the best showing at this debate. Both were able to effectively share and explain their platforms to the viewers. On the national stage, Sanders was able to emphasize his concern about the growing income inequality as well as discuss the problems concerning climate change and health care in a genuine way that the American people really appreciated. Various post-debate polls showed that Sanders won the debate. However, Clinton was lauded as the winner by most major media outlets. In these early stages of the campaign, it is becoming evident that Clinton and Sanders are the leaders of the thinning pack chasing the Democratic Party nomination. Jim Webb and Lincoln Chafee had very poor performances at the debate, and have since dropped out of the race. Since they were relatively unknown, they did not get a chance to field as many questions as Sanders, Clinton, or even O’Malley. When they did get to speak, however, not much substance was put forth. When asked about his vote in the late 1990s to repeal Glass-Steagall, a 1933 legislative act designed to restrict the risky behavior of banks, Chafee said he did not really know what he was voting for because he had just assumed office after his father died. It is doubtful that the American people appreciate the fact that a government official voted for something that he did not even know about and that many believed contributed to the 2007 disastrous economic recession. Jim Webb did not do much better. When asked about immigration policy, he talked about his Vietnamese immigrant wife. While some may be touched by the nature of his marriage, it did not provide the voters with any insight into his immigration policy. His inability to really answer the questions asked of him definitely was not well received by the American people. His demeanor was also a significant deterrent to many political commentators. Webb was very irritable because he was not getting as much time as the rest of the candidates. When Webb announced the end of his campaign, he did not rule out running as an Independent. Despite have much lower poll numbers than Sanders or Clinton, Martin O’Malley performed fairly well in the debate. His goal of a clean electric grid by 2050 is a very interesting and important one. Also, his populist economic policy, similar to Sanders’ but slightly toned down, is very appealing. However, O’Malley must sell the voters that he is more genuine. Many of his answers seemed scripted and very data driven. If he can work on being more human in debates, O’Malley can totally be a contender. The next debates will prove to be extremely key in the primary race. With Sanders surging in New Hampshire and Iowa, and O’Malley beginning to gain greater name recognition, Hillary Clinton is seriously being challenged. If Sanders or O’Malley has a good showing at the next debate, this worrying trend for Clinton could continue. However, if she wins the debate handedly, it could mean the end for the underdog O’Malley, and would seriously hurt Sanders’ already slim chances.